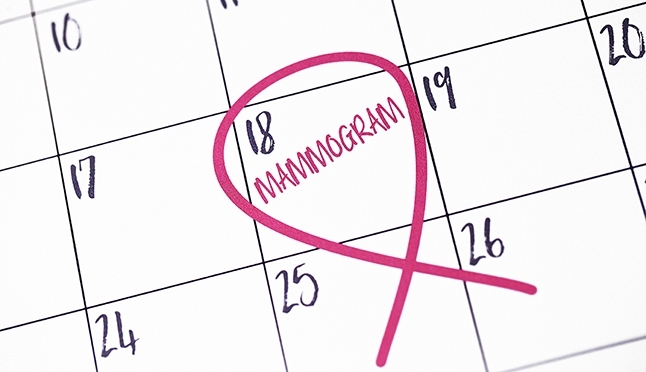 Most women believe regular mammograms are the key to preventing breast cancer. But experts don’t always agree about when women should begin having regular mammograms. This has created confusion about the right time to start this important screening. Breast cancer is the second leading cause of cancer deaths among American women, but it doesn’t have to be. When it comes to successful breast cancer treatment, health care groups know screening and early detection are important. But they interpret mammogram risks and benefits differently when making recommendations. Mammography has helped lower breast cancer deaths by 40 percent since 2009. One cancer is found for every 200 mammograms. The benefits of mammography screening outweigh the risk for women aged 50-74. Screening exposes women to small amounts of radiation. The exposure adds up over time. Mammography can find lumps that look suspicious but are not cancerous. This can lead to unnecessary testing and procedures. Mammography may not identify cancer in women who have dense breasts. UCLA is participating in the Women Informed to Screen Depending on Measures of Risk (WISDOM) Study. This University of California study is exploring whether age-based annual screening is more effective than a personalized screening approach like ACOG recommends. If you are in — or approaching — your 40s, talk with your doctor to determine when to begin mammography screening and how frequently you should be screened. And, visit WISDOM online for more information, or to join the study. * These guidelines do not apply to women with risk factors, like a BRCA-gene mutation or a strong family history. For these women, there are different – more aggressive – screening recommendations.